I can't tell you much about The Need, but they did evolve into a more visible entity, Divine Weeks later in the '80s. Functioning on the fringes of L.A.'s Paisley Underground scene, Divine Weeks got noticed when Steve Wynn of the Dream Syndicate approached them after a 1986 gig. About a year later the Weeks issued their debut, Through and Through on Restless, an album I coincidentally featured a few years back. I recall it having a twangy zest to it, but nothing I was fanatical about. I did mention however that the springboard for Divine Weeks was a precursor band, specifically the one I'm sharing tonight. I swear it's a coincidence, but remember the Children of Nuggets box I put up the other night? By and large, The Need would have been a shoo-in for it. 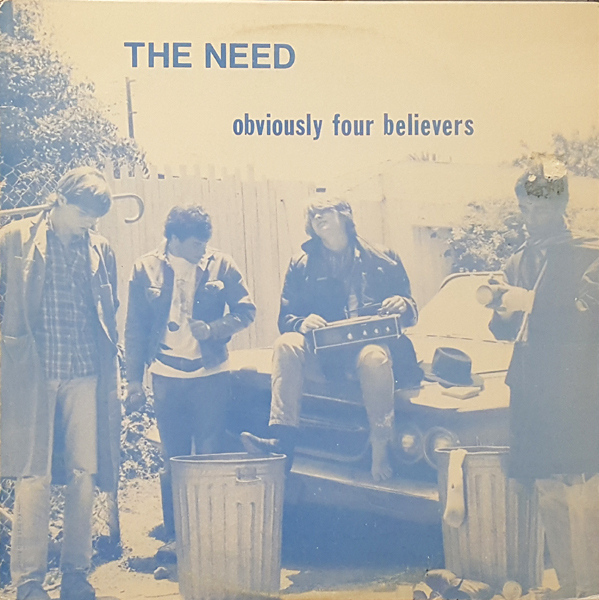 Obviously Four Believers commences with "Stranger," a biting, two-minute salvo firmly in the garage rawk mold, with sass for miles. "When the Winter Comes" on the flipside gloriously follows suit. Then there are the quartet's charming flirtations with strummy psych-pop - "Last Time I Saw Her" and "Reach You," and on the other side of the spectrum, a fantastically cathartic slammer in the guise of "I Will." To my ears, the album's apex is an anomaly of sorts, "Clandestine Shield," rife with jangly arpeggios approaching the oblique flavor of those early REM records that I find so irresistible. 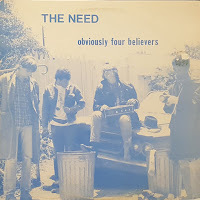 Obviously Four Believers isn't a record of straight-up, wall-to-wall bangers, nor does it dangle on the cutting edge of anything in particular - but it's more inspired moments are something to revel in. As satisfying and competent as the Divine Weeks would later come to be, they never touched the earnestness of this record. BTW, the Weeks recently dropped a new album, We're All We Have.